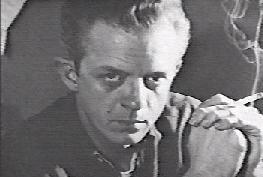 One of Alfred Hitchcock's favorite writers, Beaumont was also a contributor to Rod Serling's The Twilight Zone, and Ray Bradbury's science-fantasy anthologies. He also wrote filmscripts with Richard Matheson and Ray Russell for Roger Corman and others. His only novel, THE INTRUDER, was filmed by Roger Corman, with William Shatner in the title role. In 1964 he was stricken with a rare illness that eventually took his life at age 38.